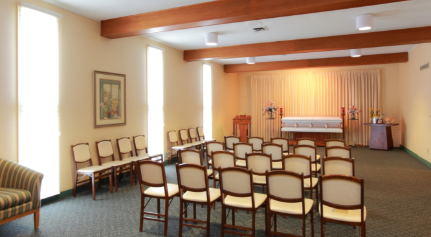 We opened our chapel on the Eastside in 2001 to bring high-quality funeral and cremation services to Eastside families. Our facility was designed with you in mind. It includes a large, beautiful chapel for funeral and memorial ceremonies, a variety of tastefully appointed rooms for family and visitors to gather, and a large, well-lit parking area. 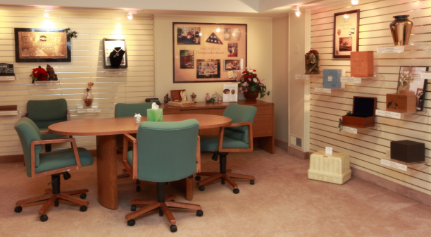 Our funeral directors are warm, personable and dedicated to helping each family celebrate the life of their loved ones and take some of the burden off their shoulders during a hard time. As Tracy P. wrote to us recently, “We were very satisfied. You walked us through the process at our own speed and made many helpful suggestions and provided us with the service we wanted for my father. Nothing we requested was too big or too hard to achieve. 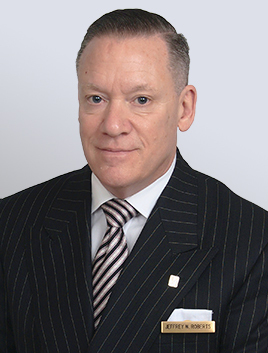 Area Manager Jeffrey W. Roberts grew up in Greece and recently returned to the area with his wife Grace. Jeffrey has one daughter, Sarah. As a funeral director, he appreciates the opportunity to serve local families in their time of loss, providing direction and comfort.